I have designed and constructed the prototypes for many commercial dolls for mass production. I will start with a line of 6 collectable Princess Diana dolls created for the Ashton-Drake Galleries. Each doll has a porcelain head and shoulders, arms, and lower legs. The shoes are painted on. 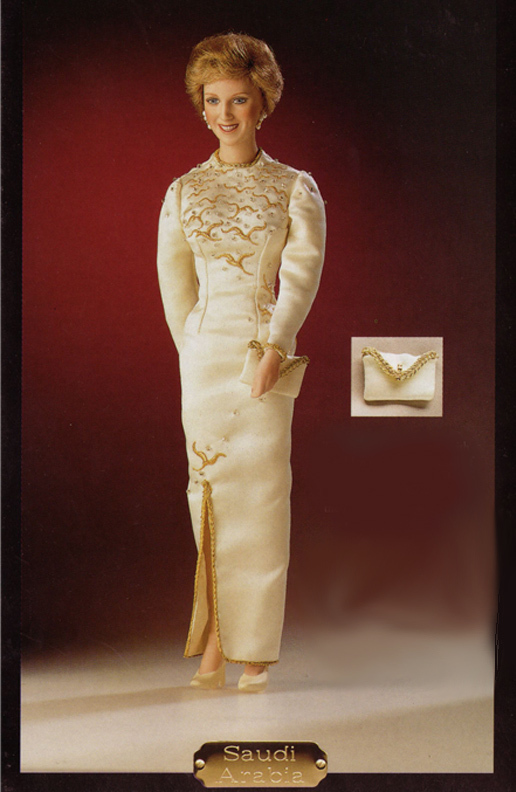 I was given the doll and made the gowns based on gowns worn by Princess Diana to the countries below. It was my job to scale the original designs for a 13" doll. I also designed and styled the wigs and designed and constructed the jewelry and handbags. ​Please note: I am still working out the formatting!